Mercedes-AMG showcased the GT 4-Door Coupé at the Geneva Motor Show 2018. As the name suggests, it is the four-door version of the GT coupe, which went on sale in 2015 as a replacement for the SLS AMG. However, it’s not an identical twin of the 2-door sportscar since it sports new exterior design which is in sync with the newer generation models of the Mercedes-Benz lineup. Here are 5 other interesting facts about the first four-door sportscar developed by Mercedes-AMG. Mercedes-Benz would want you to believe that the GT 4-Door Coupé is a practical sportscar. With four doors and seats for five, that’s quite believable. But thankfully, the carmaker has not compromised performance one bit in the process. The GT 4-Door Coupé is actually the most powerful AMG GT to be ever produced. 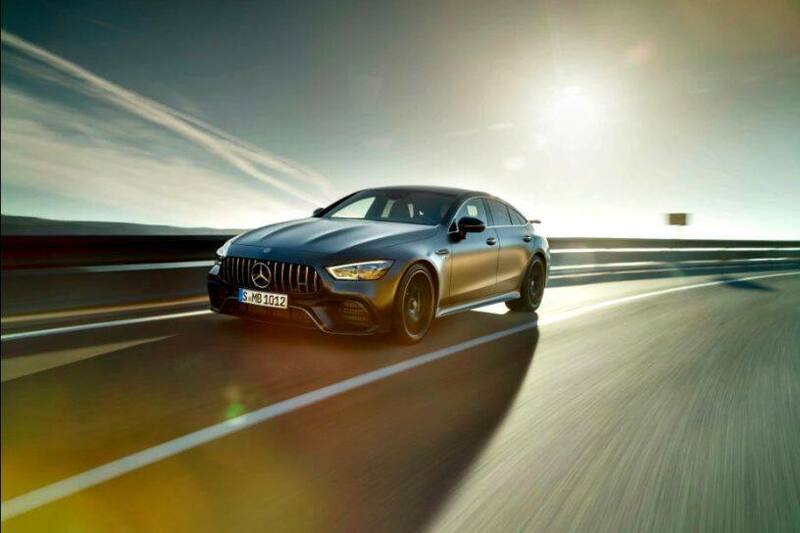 In its GT 63 S 4MATIC+ avatar, it makes 639PS of maximum power and 900Nm of peak torque, which is about 90PS more than the GT C coupe and about 62PS more than the GT R coupe. The GT 63 S 4MATIC + can sprint from 0-100kmph in 3.2 seconds and has a top speed of 315kmph. Mercedes is also offering the GT 4-Door Coupé in a lower state of tune, the GT 63 4MATIC+, which makes 585PS of power and 800Nm of torque. The reduction in power adds 0.2 seconds to its 0-100kmph time and shaves about 5kmph from the top speed. Apart from the V8 engine, Mercedes-AMG is offering the 4-door sports car with an electrified powertrain. With this, you can experience the adrenaline rush (not like that of the other two though) while being kinder to Planet Earth. Christened the AMG GT 53 4MATIC +, it is powered by a 3.0-litre V6 petrol engine that makes 435PS of power and 520Nm of torque. It is assisted by an electric motor that generates 22PS of power and 250Nm. Like the conventionally powered variants, power on this is also transmitted to all four wheels via a 9-speed automatic transmission. To make going around the twisties an easy affair, the GT 4-door is equipped with active rear wheel steering. While it is standard on the V8-powered variants, it is on offer on the V6-powered variant as an optional fitment. Active rear wheel steering behaves in two ways depending on the speed: Under 100kmph the rear wheels point in the opposite direction of the front wheels (actuated by two electric motors), thus providing better manoeuvrability. Under city speeds, it also results in smaller turning radius. At speeds north of 100kmph the rear wheels point in the same direction as the front wheels to improve driving stability and steering wheel response. As expected, Mercedes will offer the GT 4-door in four- and five-seater variants. While the four-seater variant gets 2+2 configuration, the five-seater variant gets a foldable bench seat at the back. It also gets rear AC vents. The four-seater variant gets a touchscreen integrated into the central console, which enables the passenger to perform various functions like controlling seat heating, ambient lighting and climate control. The AMG GT 4-door has a boot capacity of up to 395 litres and there’s an additional 60 litres of space beneath the boot floor. While the almost 400-litre boot might not be good enough for an airport run with multiple full-size bags it is still good enough to stow a weekend’s worth of luggage for four. For perspective, the Tata Tigor has a boot space of 419 litres, which is the highest in its segment. The AMG GT 4-door Coupe’s rear bench can also be folded down to open the door to a massive 1324 litres of extra space. Can you buy the Mercedes-AMG GT 4-Door Coupe in India?